Dogs like to dine out, too! Bring your four-legged best friend to almost any patio in Dallas- Fort Worth and they probably won’t turn you away. 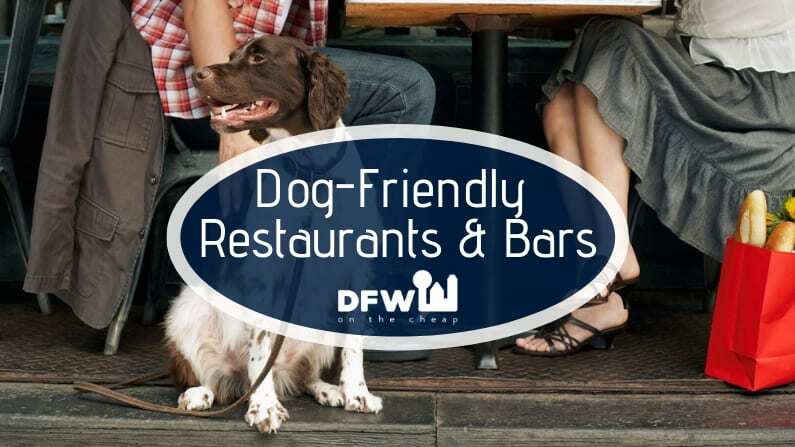 But, just in case, we’ve rounded up a list of the very best dog-friendly restaurants and bars in DFW! Remember to be considerate- don’t bring your dog if they can’t behave, always use a leash, and clean up after your pet. If you can follow the rules, Fido will always be welcome in public! Cane Rosso– It’s named after dogs so you know they’re welcome. They’ll even water the pup! Garden Cafe– Your dogs will enjoy this lush patio, it’s chill all year long. Goodfriend Beer Garden & Burger House– Near White Rock Lake park, enjoy the best cheeseburgers at this dog-friendly restaurant with a great patio. Eastwood’s– This Uptown Bar allows pups on the patios. Lazy Dog Restaurant & Bar– This dog-friendly Dallas restaurant takes it further by actually serving dogs on the patio. Lee Harvey’s– Dive bar with food which welcomes dogs every day but Sunday is designated dog day. MUTTS Canine Cantina– Craft beers, a dog-friendly patio and an off- leash dog park. Slater’s 50/50– A pork-obsessed burger and a menu just for dogs. Ten Bells Tavern– Good for dog and cat lovers alike. Fort Worth Food Truck Park– An outdoor food truck park with tables and umbrellas, the dogs and kids will love it. Landmark Bar– Play a game of chess or chase, either on their covered patio or in the shade out back. Lazy Dog Restaurant & Bar– This dog-friendly restaurant goes above and beyond by actually serving pups on the patio. Mash’d– Enjoy Americana cuisine on their cool, shaded patio with umbrellas and fans. RJ Gator’s– Enjoy the food on their huge, covered patio with lounge seating. Rodeo Goat– Get the burger and the beignets…you and pup won’t be disappointed. Shaw’s Patio– Patio is in the name so you know it’s huge- and dog friendly! Woodshed Smokehouse– The dog’s noses will not be able to stop sniffing at this outdoor smokehouse. Ye Old Bull & Bush– The patio out front is tiny but they’re very welcoming to dogs. BoomerJack’s Grill– Two locations in Arlington with deck patios. El Arroyo– A sprawling outdoor patio right across from a park. The Grease Monkey– Enjoy fried favorites under the sail shades on this front patio. J. R. Bentley’s– A gravel and stone patio with picnic tables, perfect. Lazy Dog Restaurant & Bar– This restaurant takes it further by actually serving dogs on the patio. Mercado Juarez Restaurant– Delicious Mexican food on their front patio. Big Daddy’s Ship Store– Relax on the covered deck overlooking the lake. Bottle Cap Alley Icehouse– Enter from the patio with the pup but send someone around to turn in your order. Cottonpatch Cafe– The Grapevine location has a small covered patio. 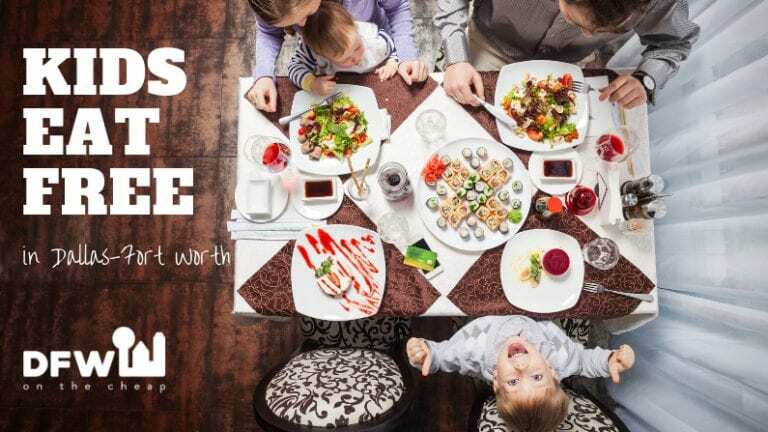 Flip’s Patio Grill– This ample, covered patio deck is perfect but the food is even better. Lucy’s Lot– The covered patio isn’t huge but it’ll do the trick.